The Australian Hearing Macquarie centre is conveniently located on the ground floor of the Hearing Hub, right next to the café. As well as looking after the hearing health of Australian seniors, veterans, Aboriginal and Torres Strait Islanders and adults with complex issues, we are also a specialist paediatric facility. Because one in six people suffer from some form of hearing loss, raising awareness and changing attitudes towards hearing health in the community is a priority. Our clients benefit from the up-to-date technology and practical support we provide to lead fulfilling lives despite their hearing loss. The front of house team works with our audiologists to schedule appointments, fit and maintain hearing devices, provide advice and work closely with other community service providers. Adults – to book in for a hearing check, call 131 797 or book online at www.hearing.com.au. Children – If you are concerned about your child’s hearing, the first point of contact is your GP who will refer you to Australian Hearing once a hearing loss has been diagnosed. We assess and fit the most appropriate hearing technology for each client, to suit their individual hearing needs. We repair and check hearing aids and are able to answer any questions you have about living with hearing loss. 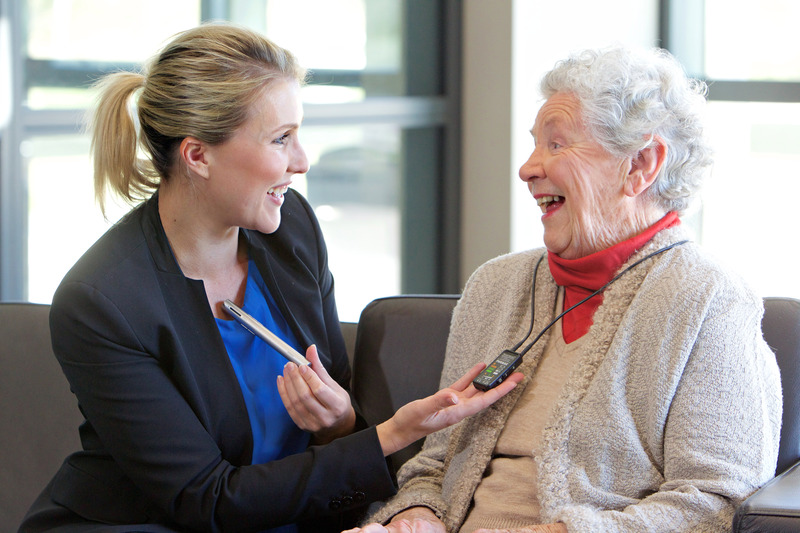 We also advise a range of hearing technology solutions for improved listening around the home. More than this, we take a holistic approach to helping our clients get the most out of life and we partner with people on their hearing journey offering professional support.